Scheduling Charity Week proved much more difficult this year as compared to the past. Usually the West Bend High Schools’ student council organizes Charity Week for the second week of February, but this year’s event was changed to one week later. 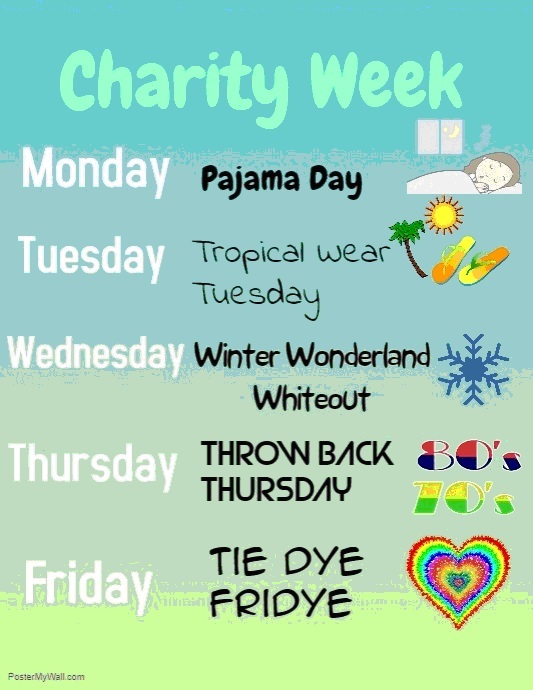 Starting today, each weekday will feature a different charity and theme. 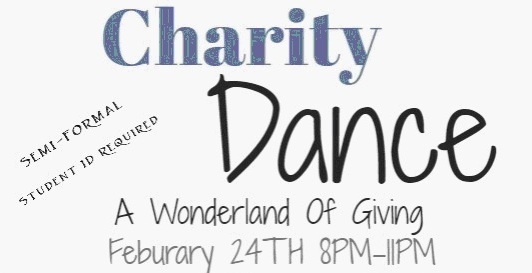 The Charity Ball dance will be held 8-11 p.m. Saturday in the fieldhouse, with an admission of $10 at the bookkeeper in advance and $15 at the door. The change was needed after the district calendar moved a staff-only workday to Feb. 12. Even with this move there are still scheduling issues. Tuesday night East girls basketball will face Nicolet in a playoff, and the West girls will face Kewaskum. If both teams win they will move on to a game on Friday. And if both teams win those games, they will face off against each other Saturday in the fieldhouse. This presents a potential schedule overlap, seeing that the Charity Ball will be taking place that night. In addition, the spring musical, “The Drowsy Chaperone,” will be performed Saturday as well. On top of that, the ACT and WorkKeys, statewide tests all juniors must take, are being administered early next week. Despite these coinciding events, and the close proximity of the ACT, dance attendance may not be too greatly affected. Werth is not too concerned about the attendance, either. While the weekend may be quite full, students and staff will have the entire week to donate to charities. It started today with Pajama Day, where the proceeds went to the Family Center of Washington County. Tuesday will be Tropical Wear and will benefit Elevate, which provides substance abuse intervention. Wednesday is a Winter Wonderland Whiteout that will help out NAMI, the National Alliance on Mental Illness. Throwback Thursday will throw charity at Life of Hope, an organization dedicated to suicide prevention.. And Tie Dye Fridye will contribute to Fisher House, which benefits veterans and active military families. All the proceeds from the Charity Ball will go to Habitat for Humanity. And the community itself has lent a helping hand with the giving. The Future Business Leaders of America club at WBHS has procured a $300 donation from Glacier Hills Credit Union for Elevate. West Bend Mutual Insurance has pledged up to a $1,000 match grant to benefit Life of Hope. The giving continues with Educators Credit Union providing up to a $1,000 match for NAMI. For Habitat for Humanity, there is an unlimited match grant from an anonymous donor. “I was told (it was) somebody who lived in the community but now doesn’t, but still wants to give back,” said Randy Reysen, a West social studies teacher and STUCO adviser. This match grant could come out to be a sizable sum. STUCO pays for the dance entirely out of pocket, using the surplus funds from homecoming and prom. Because of this, all ticket sales are going directly to Habitat for Humanity.